If you’re looking for a phone right now, there are just so many available ones that it can feel overwhelming as to which choice you should get. Here, we will count on the very best phones you could get right now. So coming in a 5th place on this list is One Plus 3T which is the best smartphone for a brand you might have not heard of. One Plus took the mobile world by storm in 2014 with one goal: to be the flagship killer. Even though with the slightly more expensive price tags than some of its predecessors, it comes with all the features of much more expensive handsets like an HD screen, a fingerprint sensor, a decent camera and powerful specs. This one is powered by a Qualcomm Snapdragon 820 processor and 6 gigabytes of RAM. Software is rock solid and it has a premium feel. Now, the 4th place goes to the iPhone 7 which is honestly a really great choice for people who are already in the iOS ecosystem and want to upgrade their phone. The iPhone 7 is sleek, gorgeous and generally fantastic overall. It has enhanced cameras and improved design, better battery life and also supercharged quad-core A8 fusion chip. If you’re the owner of the iPhone 6S or 6S plus, this might not be worth you money because it’s more of a fine – tuned upgrade than the next step of an iPhone life cycle. 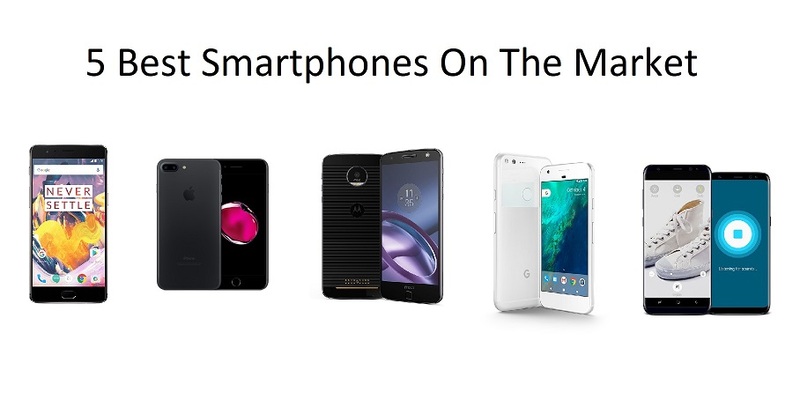 Moving on to the 3rd place, it might be Moto Z which is an incredibly thin smartphone. This is actually a modular device which allows you to clip on game-changing accessories onto its back thanks to built-in magnets. All of a sudden your otherwise flat Motorola phone can double as a mini boombox, a real camera or even a projector. It can also double in battery life. Moto Z has really transformed the design and functionality of your phone. Another really nice thing about the Moto Z is the fingerprint sensor, which not only turns on and unlocks the screen but also puts it to the sleep. The Moto Z doesn’t come with 3.5 mm headphone jack like iPhone 7 and that requires you to use an included adapter for hardware audio. That might be a deal-breaker for you but honestly it’s something you do get used to overtime. Now, coming in a second place is the Google Pixel which is honestly just a great phone in a ton of different ways. Whether it’s the metal or glass chassis, the excellent camera, the tons of power from Snapdragon processor, or just the fact of the software and the virtual assistant work in perfect harmony with the hardware; everything is right here and this is an overall brilliant phone. If you prefer larger screens the 5.5 inch pixel XL is also available and both of these phones offer all the same features. 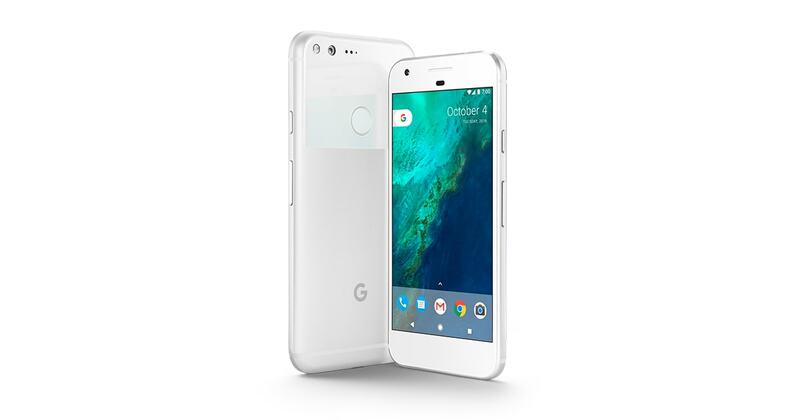 If you’re looking for a really great device, overall the Google Pixel is for you, but it’s not quite as much of a value offering as Google’s previous Nexus phone. That brings us to the first place choice for the phone you should get right now. That’s the Samsung Galaxy S8. They’re supposed to bring brilliant infinity edge display, which occupies 80% of the body and then also has cutting-edge design. This is powered by the Exynos 8890 5 octa core processor and 4 gigabytes of RAM. With the second you look at the Galaxy S8 you’re going to think that all of its competitors look dated. The Galaxy S8 also has decent battery life and excellent camera and amazing performance; what surely just means complete package. It’s not completely a perfect phone; there are a couple a small issues like the weirdly placed fingerprint sensor. But surely, you won’t be disappointed with the S8 if you do get it as a smartphone purchase.